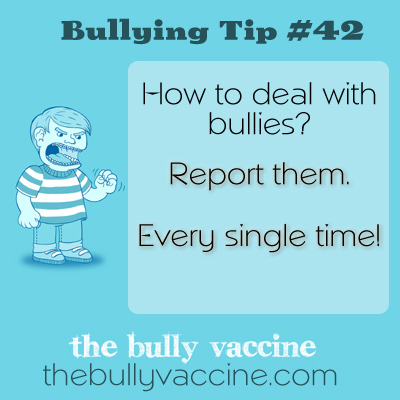 Bullying tip #42: What can be done about bullies and why reporting works. Report them every single time. Bullies bully because it works. Don’t let them get away with it anymore.